Saw this on Reddit, the first comment was "Bet you could get $7k for it on Craigslist. Seems to be the going rate for Jeeps in that condition." Any idea what model it is? 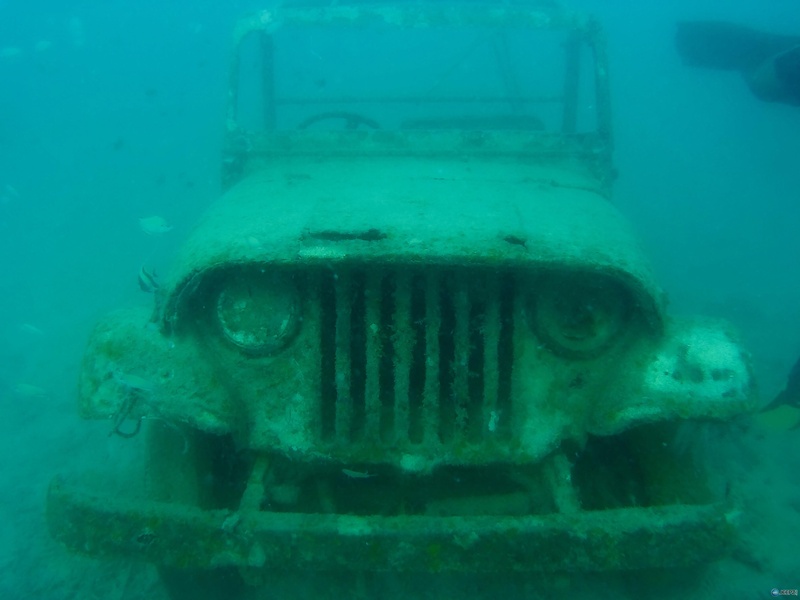 steering wheel is in the wrong spot, Old MAIL jeep or made on the other side of the pond. Ill bite. I think it's a Jeep CJ6A Firetruck or a Mitsubishi J50. The 6A has the high windshield and protruding front end with a full bumper. However the headlights are not integrated with the grill openings. On the 50 the grill is correct but the windshield bottom is not tall enough. And 50s have stubby bumpers close to the grill. It would be good yo know if there are markers below the headlights. So what is it? Anyone else guessing? Well, the bad news it that I don't know the answer. I found it on another forum, where some diver saw it.